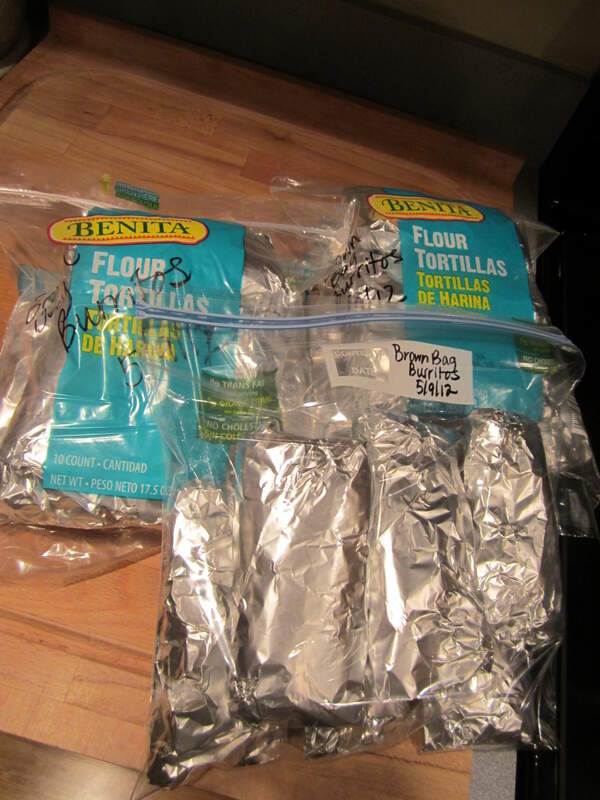 Today in the 4 Weeks to Fill Your Freezer series, we worked on making Brown Bag Burritos from Amy’s Finer Things. I know it seems like it’s the little things that excite me, but how cool is it to have a homemade lunch in your freezer, ready to be eaten in 1 minute? 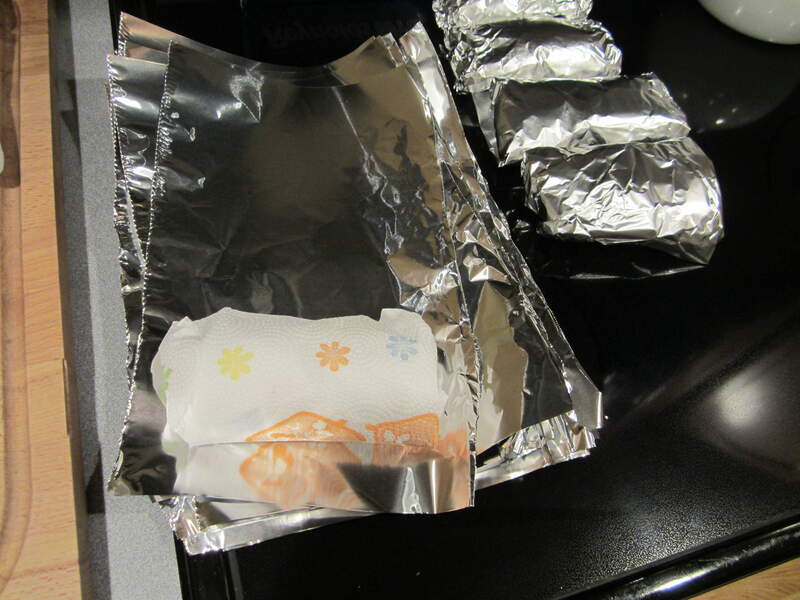 This is so exciting to me…a girl who grew up on pre-made (and not too healthy) frozen burritos from the grocery store. I started out by cooking the ground turkey I bought earlier today at Aldi. 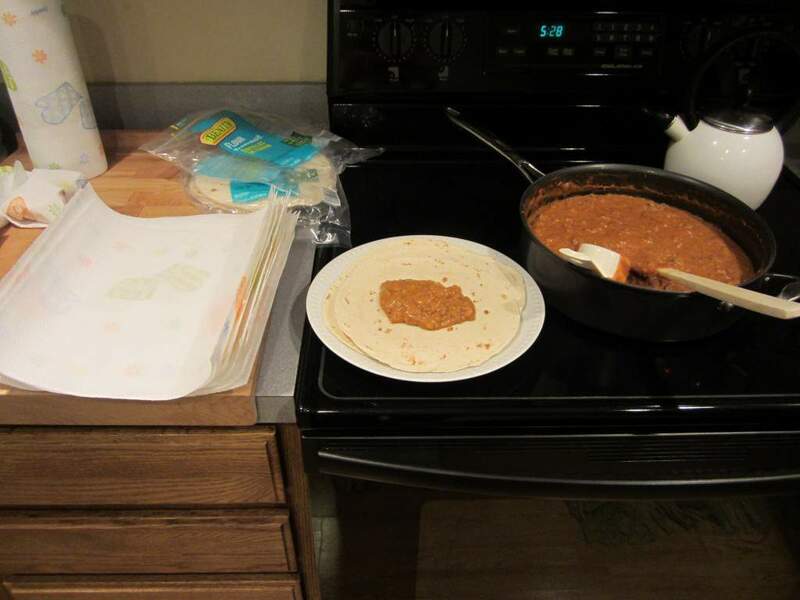 I wasn’t able to find enchilada sauce there, so I made my own using regular old tomato sauce and some Mexican spices, according to a recipe in my trusty America’s Test Kitchen Family Cookbook. 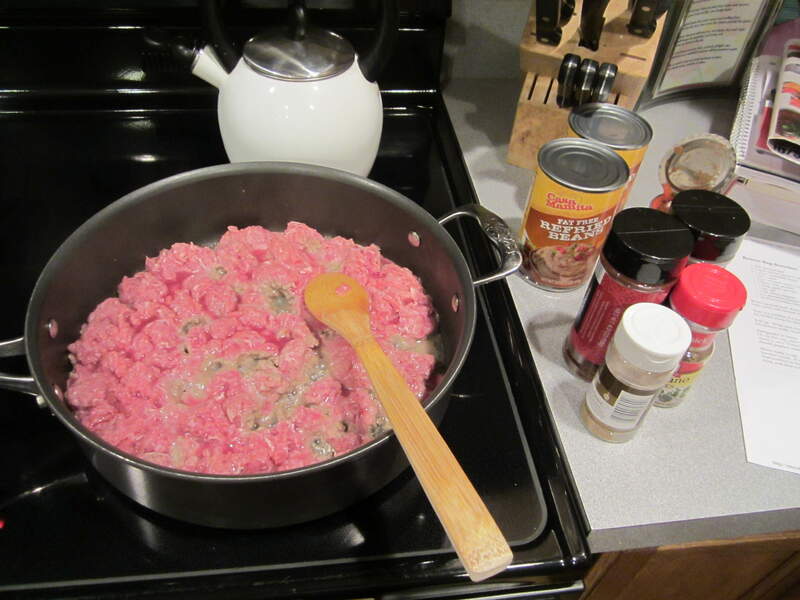 When the meat and bean mixture was done simmering, I warmed up the tortillas a few at a time in the microwave and started filling them. The original recipe called for 1/4 cup of filling per tortilla…I found that I could fit 1/3 cup of filling in just fine. It just so happened that we were having tacos for dinner tonight, so my husband happily finished off the extra burrito filling that was leftover with the rest of his dinner. He taste-tested it while I was rolling the burritos and declared it very good! I guess I know who will be eating all the burritos! 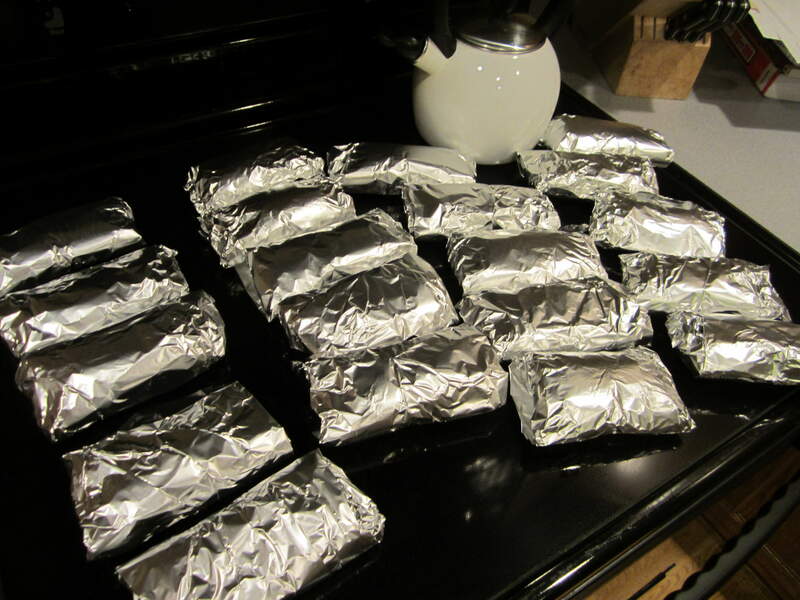 Your burritos look yummy. I have made this recipe before and we really like it. These are so much better than the store bought ones. Although sometimes I get lazy and just buy the ones from the store.